Organic farmers Colin and Karen Archipley of Escondido are set to be honored Wednesday as “Champions of Change” in Washington, the White House said. The Archipleys are co-founders of Archi’s Acres Organic Farming Enterprise, a certified organic greenhouse operation that grows basil, kale and other herbs and produce. They launched the venture eight years ago. The couple also created the Veterans Sustainable Agriculture Training Program in partnership with Cal Poly Pomona. It is a six-week, “agricultural entrepreneurial incubator” certificate program which includes six courses for 17 units of academic credit. Colin Archipley is a combat-decorated Marine sergeant who served in Iraq. Initially, Karen Archipley ran the farm while he was continuing to serve in the Middle East. 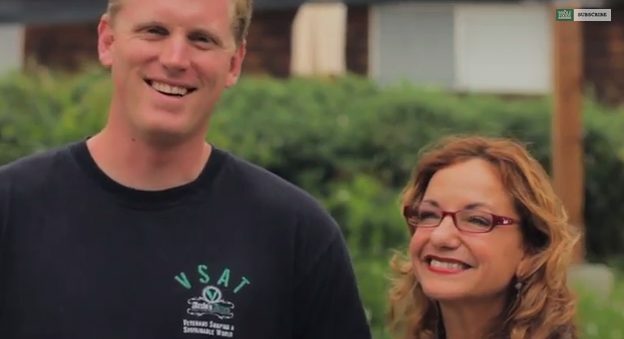 In a video created for Whole Foods, which sells the Archipleys’ basil, the veteran said “it’s a win-win” to purchase his farm’s produce, because it’s organic and proceeds also benefit the Cal Poly training program in its role as an aid for troops attempting to make the transition back to civilian life. “Agriculture is just a natural fit for a military family, being able to reconnect with loved ones (who’ve) been away at war or is having difficulty turning the war off,” Karen Archipley added. According to the White House, Colin and Karen give back to the community through healthy food, as responsible stewards of the environment. President Barack Obama’s Champions of Change program honors people in a variety of fields whose innovations help to improve the community. Another local farm, Go Green Agriculture of Encinitas, was honored by the White House last month.